Question Of The Day – What’s Your Favorite Movie and Why? Growing up my mother, sister and I were true moviegoers. Every Saturday, we were at the movies and to this day I watch a lot of movies, but not at the theaters as much. Well, I go to the movies, but it’s generally to watch a kids flick. You know how it goes, you have kids and things change. Thankfully, there is the Library(my #1 source), pay per view, Netflix, Amazon Prime, Apple TV and so many other outlets that make movies available quickly. 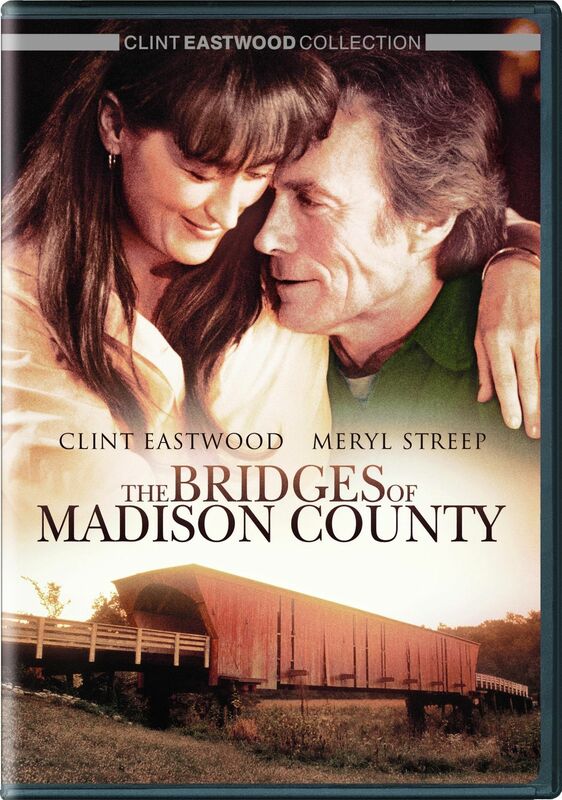 One of my favorite movies is “The Bridges of Madison County.” A true love story and one that truly reveals why some of us live and sacrifice for others. The characters Francesca, played by Meryl Streep and Robert, played by Clint Eastwood are soul mates that have found one another. As the movie progresses, you are brought into Francesca’s struggle of whether she should stay or go. She stays. Often it’s not that we don’t deserve to be happy we choose to love the one we are with, especially when children are apart of the equation. My favorite line from the movie is, “this kind of certainty comes but once in a lifetime…” Ohhh, just makes me melt. At the end of the movie, they have both passed away and I love that Francescas’ last request was for her ashes to be spread into the water by the bridge where Robert & her met. I choose to believe they found their way back to one another and spent eternity together. 🙂 Beautiful ending. I have many more movies I love like, The Notebook, Up(yes, kids movie, but I love a good love story), Overboard, Seems Like Old Times, The Outsiders, and so many more…. Ok, so you know my favorite(s), let’s hear what movie you love and why?